This purchase was something of a surprised for me, only because of where I got it from- Poshmark. I use the app to sell my new/good clothes and never really thought of using it to buy anything, but this top was from a seller that has a store and it seemed like a good idea. I was right, the top came in a plastic bag, never been used and it is exactly how it was described. I think it's a great find for the price. Unfortunately, it is sold out, but this off-the-shoulder trend is everywhere now. I found this top at H&M and I'm not sure if it's my local H&M that is having a sale, but this top only cost me $5! When I started writing this post I'd only had the top in black shown in the picture, but in the midst of it all I ended up buying the same top in navy blue (at that price I had to). You can still find it online under 20 bucks. 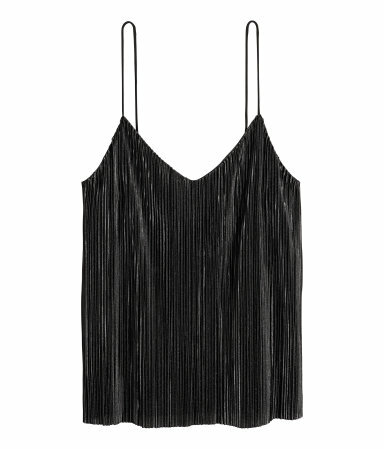 I will pair this top with some shorts and heels or so nice high-waisted black pants and of course heels. I found this romper at TJ Maxx (I might be behind on this pleated trend, but I love it). The minute I saw this romper I just had to have it. I don't own anything like it in my closet and it definitely screamed spring/summer to me. Sadly I can't find this one online but find a similar one here. Yes, the original price of this dress is two dollars more than what I'm bringing, but the gag is I got it 50% off the original price, which makes it even better. I got the dress from Missguided back in April when they were having 50% off the entire store and I have noticed they have been doing that many times after. Even if it's not the whole 50% there are always 20% off and discount codes that can work in your favor. This dress is now $24.00! Since the whole store was having the sale I went right ahead and got myself this little black dress because let's be honest a little black dress is always necessary. I got both of these dresses the same time I got my blue dress for my birthday I talked about here. Plain high leg bathing suits are one of the trends that are in now for the summer, so when I finally found a black one that looked exactly like what I've been looking for, I had to get it. Especially since it was also 50% off. Yes, this bathing suit is from Misguided as well as this Khaki low back ribbed I wore on my trip to NYC for my birthday weekend. The minute I saw these pants I literally grabbed them, if a pair of pants screamed summer-vacation-beach is definitely these pants. I found this pair at my local Tj Maxx, tried them on and fell in love with them even more, they hug my body so nice and they are actually long enough for my short self (I'm 4'11). 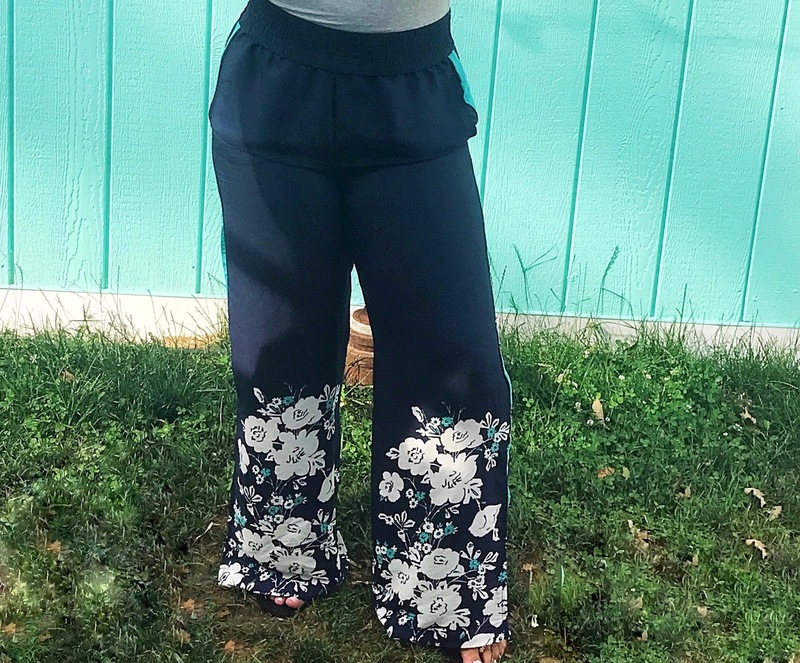 We all know the wide leg trend is on this summer, and this pair is perfect for it. I can't find the exact ones, but I found a similar style from the same brand. Similar style here. When it comes to buying jeans I usually have a hard time, they need to be short enough so I wouldn't need to always roll them up and stretchy enough so it can hug my body correctly. I found this pair of Jeans at Tj Maxx as well (yea you guessed it). I mean the style on this pair is exactly what is in at the moment, and they are actually the right length for me. I mean YAY. I can rock them with sandals for a really casual look, or with heels to mix things us. Since we are already talking about jeans, might as well mention this pair as well. Found them in Tj Maxx as well, same day and for a really good price. 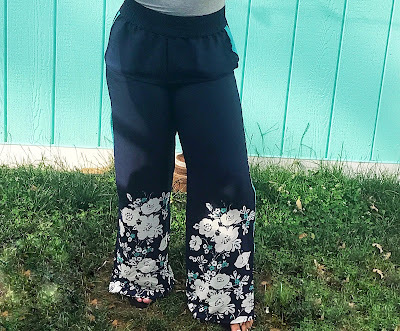 They are high-waisted, the right length and the best part is they make my booty look AMAZING! A pair of jeans that do all that has to come home with me. Here and here are some similar ones I would also buy. One of the main reason of me writing the post was because of this sandals, such a great find at a great price. Brown is one of my favorite colors and is definitely one of my favorite colors to have shoes on. It was no surprise to me when I found this pair of Steve Madden's sandals on sale at Tj Maxx. I say it's no surprised because I had just thrown away my very worn-out Steve Madden sandals I've got a few summers back at a Tj Maxx as well, so I went in hoping to get lucky again and I did. Like I mentioned before, I love brown shoes especially sandals. I walked into Forever 21 on Memorial Day weekend and this pair of sandals caught my eyes, the original price paid $12.90 (they look more expensive than they are) and I ended up paying only nine dollars. Talk about getting lucky. My little blue dress was also under $25. I linked similar styles on the post, but you can find the dress here. Leave a comment telling me what has been your recent/summer finds, especially the ones at a great price!